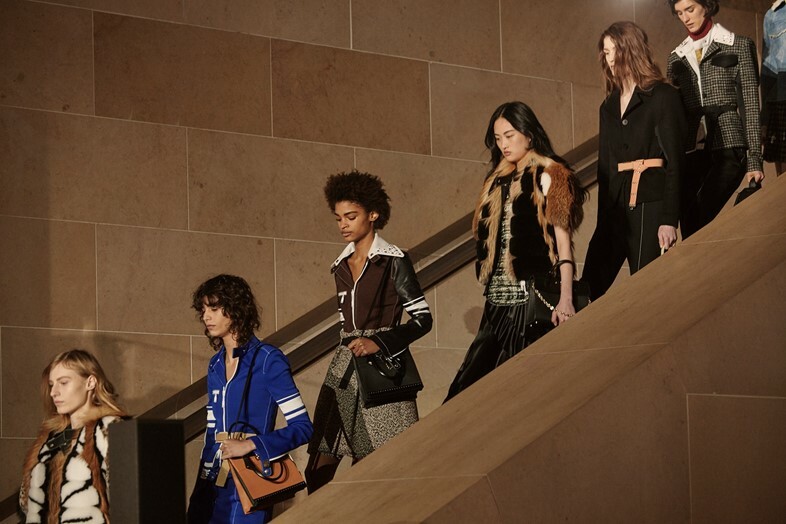 Louis Vuitton closed Paris Fashion Week last night, showing a collection at one of the city’s landmark attractions – that is, the most visited art gallery in the world, the Louvre. What followed was a collection that was anything but obvious though – here’s what you missed. Straying from the Louis Vuitton Foundation this time, Nicolas Ghesquière took over maybe the most iconic building in Paris instead. Shutting down the main sculpture room of the Louvre (the Cour Marly) this was one of the brand’s biggest stages, and it’s most labyrinthine – as demonstrated when the models started walking out from the darkened entrances to disorientating flashing lights. When they took their bow at the end, the seemingly endless line of models made the whole thing seem very much like the Penrose stairs optical illusion. 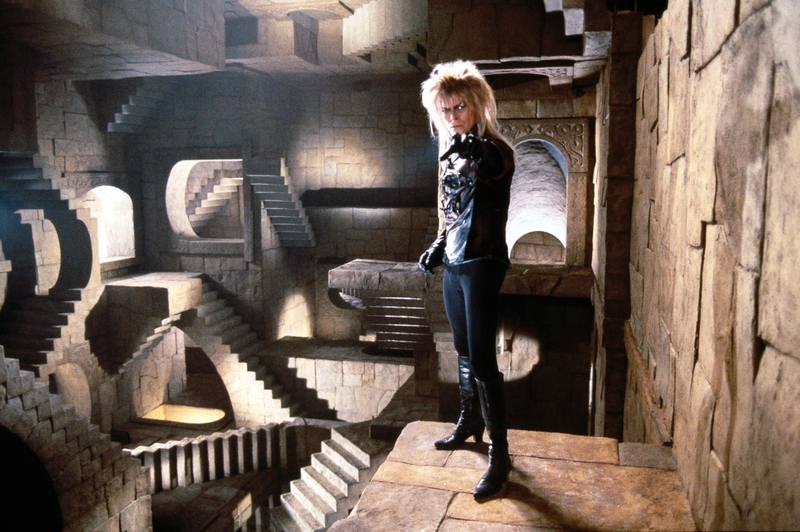 This strange, mysterious vibe was mirrored in the music. Opening with the almost hymnic chanting of “Making of a Cyborg” from Ghost in the Shell – an anime that’s being released as a live action film this year, and a genre which the designer is famously a fan of – the soundtrack then slipped into Frank Ocean’s “Pyramids”, which you couldn’t help but feel was referencing the building’s own iconic set out front. 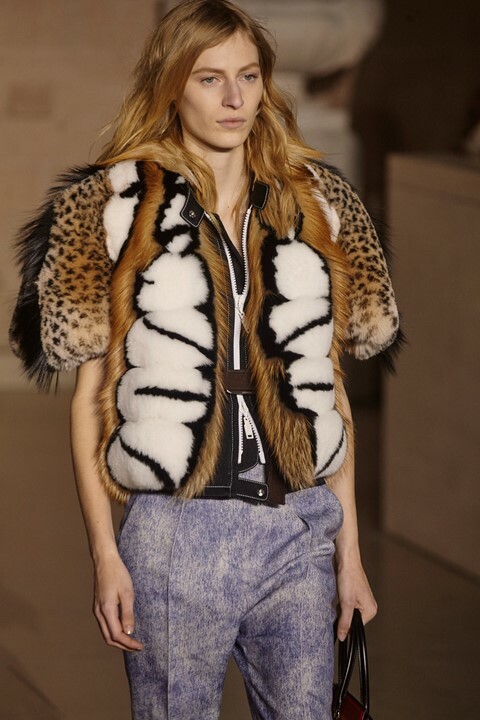 Cloaked in fur capes, Ghesquière’s woman literally took these codes of the past (in that case the prehistoric) and reworked them into a wardrobe for today. Worn with flares, patchworked silk slips, or check tailoring, these were clothes that incorporated a multitude of different references into a strangely cohesive whole. Ghesquière’s experimentation with materials gave some inklings of the future too, in shiny trousers seemingly woven from holographic thread and dresses that appeared crinkled like sweet wrappers. As usual, Ghesquière’s pink-haired favourite Fernanda Ly made an appearance, and Kiki Willems also did a lap of those winding stairs in a leather look. 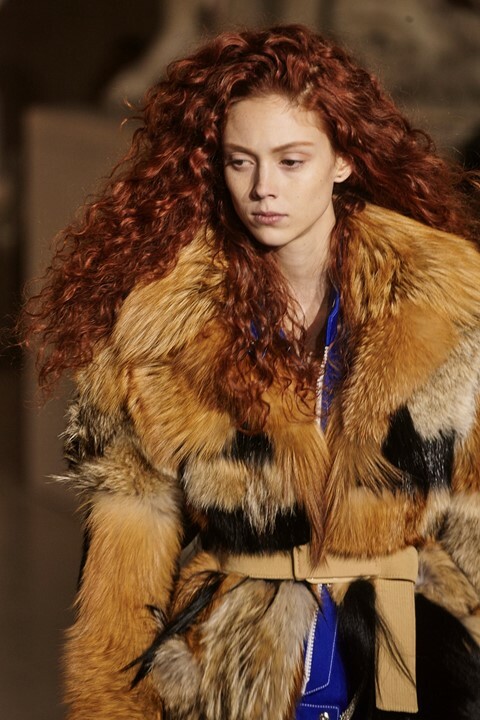 Natalie Westling was immediately recognisable by her mane of auburn hair; as was Julia Nobis by her blonde. Front row sat Jayden Smith and Game of Thrones’ Sophie Turner, probably making a mental note to take those fur pieces back to Westeros.